The Motley Fool Canada » Investing » Is Canada Goose (TSX:GOOS) Ready to Double in 2019? Is Canada Goose (TSX:GOOS) Ready to Double in 2019? If there was any question as to which apparel company was Canada’s best heading into 2018, investors have delivered a resounding answer. Canada Goose (TSX:GOOS)(NYSE:GOOS) is undoubtedly Canada’s most successful apparel brand of the past year, its stock up more than 110% with less than a month to go in 2018. Stock prices doubling in a year is rare. It’s even more unusual when stock markets are limping to the finish line with the S&P/TSX Composite Index down 5.4% through November 27 and the S&P 500 squeezing out a 2.6% return. These aren’t the kind of returns needed to lift all boats. And yet here we sit contemplating whether Canada Goose can double its share price in 2019 for a second consecutive year. There’s been a lot written about Canada Goose lately, so I’m going to defer to one of my colleagues at the Fool for some recent observations about the company’s financial health. David Jagielski, who believes GOOS stock is overvalued at current prices and expects it to drop below $80, did have a couple of positive things to say about Canada Goose’s Q2 earnings earlier in November. First, gross margins, which drive every successful retailer, were up in the quarter over 55%, 520 basis points higher than the company’s gross margins a year earlier. The other point David mentioned is that the company raised its revenue growth for fiscal 2019 to at least 30% with adjusted net income expected to increase by at least 40%. In 2018, its total revenue was $591.2 million. If we assume 30% growth in 2019, overall revenue should be at least $768.6 million. Furthermore, if wholesale revenues increase by 10% to $369.8 million ($336.2 million in 2018), DTC revenues will have to increase by 56% from $255.0 million in 2018 to $398.8 million in 2019. That seems entirely possible given DTC revenues increased by 121% in 2018, albeit on a smaller starting number in 2017 of $115.2 million. In the company’s Q2 2019 guidance, it projected that its adjusted net income in fiscal 2019 would grow by at least 40%. It grew by 59% in the second quarter and by 95% in fiscal 2018, so it’s more than possible. However, as much as Jagielski was impressed by Canada Goose’s growth in gross margins in the second quarter, he did point out that the company’s selling, general and administrative (SG&A) costs increased by more than 60% in the quarter. That’s not unusual for a growing company that’s investing in every aspect of its business including brick-and-mortar locations that aren’t cheap. It’s “no” for me, as I want to see that Canada Goose is maintaining or increasing its gross margins. In fiscal 2018, they were 58.8%, 630 basis points higher than in 2017. Anything higher than 59% is a big win for shareholders. The way things are progressing, gross margins could easily jump above 60%, which would put it in rare company. If Canada Goose management keep the business moving in the right direction vis a vis revenues, margins, and profit growth, I don’t see how a secondary offering providing Bain Capital an exit from its five year investment in the company will hurt its share price for very long because institutional investors will snap most of them up relatively quickly. The big issue is how much are investors going to be willing to pay in 2019 should the markets continue to slide. Canada Goose’s valuation is expensive, to say the least, at 14 times sales. By comparison, Lululemon and VF Corp., two of the largest apparel companies in North America, trade at 5.7 and 2.7 times sales respectively. If valuation weren’t a concern, I’d say absolutely GOOS could double in 2019. However, it is, and always will be a concern. 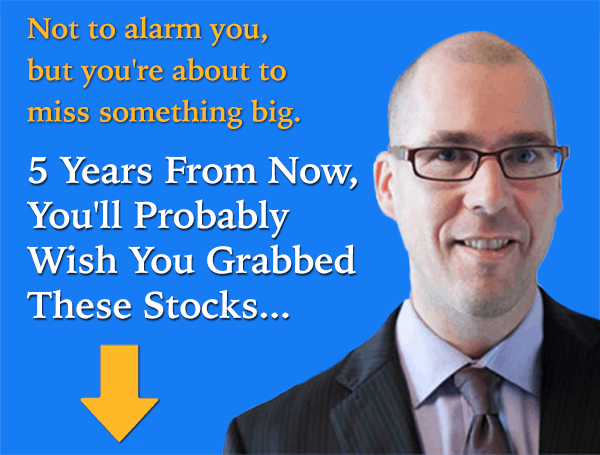 Therefore, if you’re buying GOOS stock because you think it will double in 2019, you’ll likely be disappointed. However, if you’re buying to hold beyond the end of next year, you’ll likely be more than happy with your investment.